First-class solutions for old, damaged concrete surfaces from Dallas Concrete Artisans. Recognized as one of the top tourist destinations in the state of Texas, Dallas has a reputation to protect. Even locals in this City of Cowboys and Culture are contributing to making their hometown worth visiting, starting with their homes. What better way to give a good impression than to make your home as stunning as it can possibly be? Remodeling concrete surfaces, however, may cost a fortune. But not with decorative concrete. 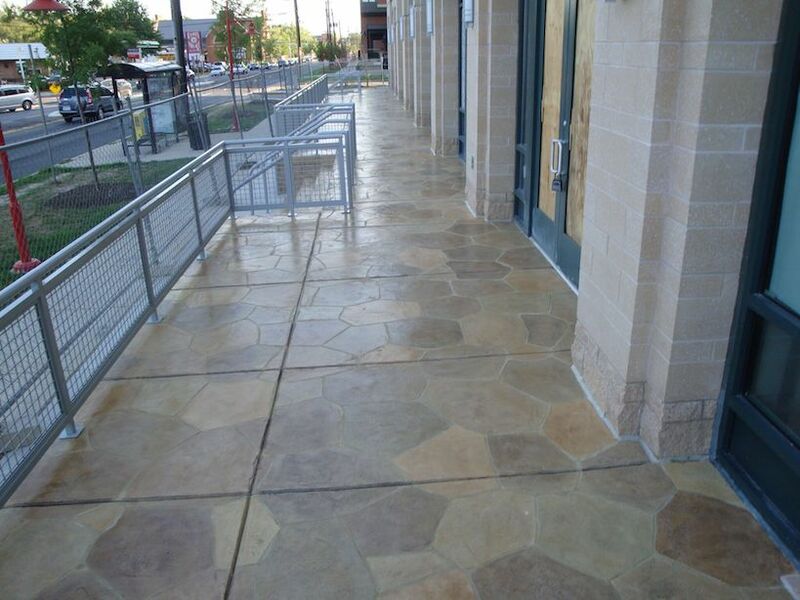 Dallas Concrete Artisans aims to help improve your exterior and interior floors without draining your finances dry. 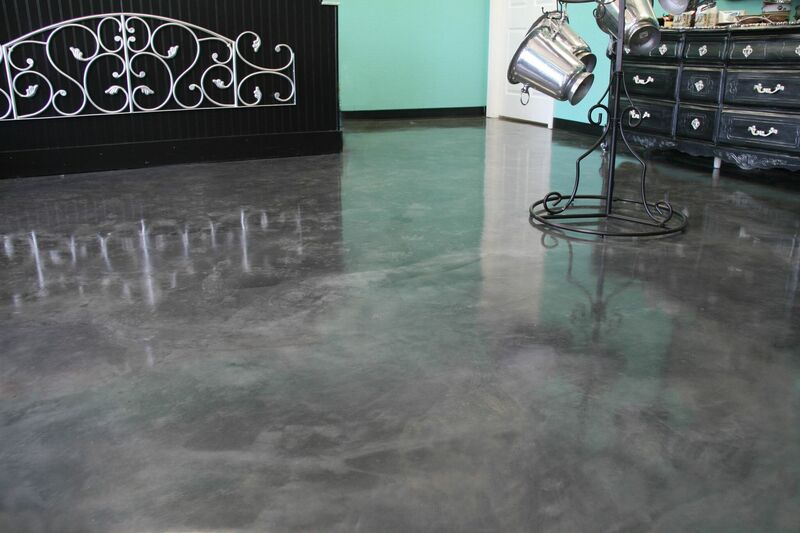 We offer economical concrete coatings in Dallas that will definitely turn that old concrete surface into a masterpiece. We have been in the decorative concrete industry for more than 20 years now. Dallas Concrete Artisans is licensed, insured, and bonded. Our team is knowledgeable enough to provide answers to your Concrete Solutions queries, perform evaluations, and determine the appropriate solution. It is our mission to be highly efficient in the provision of services, quotes, and results in the most professional and accurate ways possible. Previous customers have voluntarily given their positive feedbacks and these can be accessed by anyone. We have reliable suppliers for top-quality materials. Each installer in our team observes safety at all times during the project with the least intrusion possible. Each member of our staff have been working for us for years, so you can rest assured that they have the skills, passion, and attitude necessary to achieve quality results. Our team of professional installers plans each project well, choose the right coating to use, and surpass the customer’s expectations and desires. Our consultations and quotations are given to you at no extra cost. FREE Decorative Concrete Consultation: Discuss & Assess – Stamped Overlays, Stained Concrete, Epoxy Flooring, Spray Texture etc.! When it comes to decorative concrete floors, many little decisions need to be made. Deciding on a stain color, a stamp pattern, or a coating material can be quite difficult especially since all of our solutions are high quality. Let us help you learn more about your options so you can make decisions you won’t regret later on. Worried about costs? Don’t be. We partner with only the best suppliers so you can guarantee that we only work with top-quality materials at costs you can afford. For concrete resurfacing or refinishing needs, call or email us. We’ll set up a FREE consultation right in your own home. We will come to your home and assess the part of your property that needs work. If you any question during the assessment, please feel free to ask us. After everything has been checked, we will give you a quote on how much the costs will be, dependent of course on the type of material and design you want. Not sure about what you want? Let us show you some sample patterns as well as projects we have recently completed. You may browse through, ask us about the materials used, how long they were installed, and anything that you feel you need to know about. High Quality Concrete Coatings & Overlays for pool decks, patios, driveways, garages and more! When it comes to concrete floors, it is not enough to just fix it and make it usable again. We make sure that the resurfacing solution we provide would take floors to a whole new level of beauty and function. As a family-operated business, we make sure that you reap the most benefits when you hire us. As a leading decorative concrete business in Dallas, we guarantee that every solution we provide is nothing short of superior. Stamped Concrete Overlays –Used mostly on patio decks, driveways, and other outdoor surfaces, stamped overlays can mimic even the most high-end materials, such as brick, flagstone, slate, and more. Stained Concrete – Concrete stains are not temperature-sensitive so it can be used both on interior floors and outdoor surfaces. It can be used on an existing concrete floor or on a resurfaced one. Sprayed Knock Down Texture – This is an acrylic spray texture system that is similar to the texture of a stucco finish, only smoother. Perfect for concrete pool deck surfaces. Epoxy Flooring – Epoxy is a two-part material applied on indoor concrete surfaces like basement and garage floors. Polyurea Polyaspartic Coating – A 1-day-install coating originally designed for industrial use, this coating is now available for residential and commercial use. Price is always a big issue when it comes to floor upgrades and repairs. Concrete Solutions are less expensive than most types of flooring materials. It restores the existing concrete slab, giving it a brand new look and improved functions. Depend on any required customization, like patterns or designs, as well as adjustments or alterations, like score lines, crack repair, and resealing. Once a project cost has been agreed upon, we stick to it. Each project we handle is an experience to the customer and it is our duty to make it a good one. Whenever we think something would be a better option, we let them know, providing enough info to back it up. If they prefer something else despite the suggestion, we work on it, as long as it would benefit them. If something is bothering you are if there is something you are not comfortable with, let us know. It is our commitment to make the project proceed as smoothly as possible. If there is an issue with the budget, let’s talk about it and come up with a solution that does not compromise the quality of the floor. If you changed your mind about the design, we would gladly change it for you. CLICK HERE TO SEE MORE CONCRETE TRANSFORMATIONS! Call Dallas Concrete Artisans at (972) 885-6067, we are always here to help. We stand before you, proud of our work and our people. Backed up with more than 20 years of professional experience, Dallas Concrete Artisans is confident that we can handle any Concrete Solutions in both residential and commercial settings. Our thirst for excellence, impeccable attention to detail, and hard working crew are more than willing to make your dream floor project a reality. This is who we are. Call us or send us an email today.